Established in the year 1970, we, A.K. Auto Agency, are engaged in trading and exporting the premium quality of Golf Cart & Spare Parts. 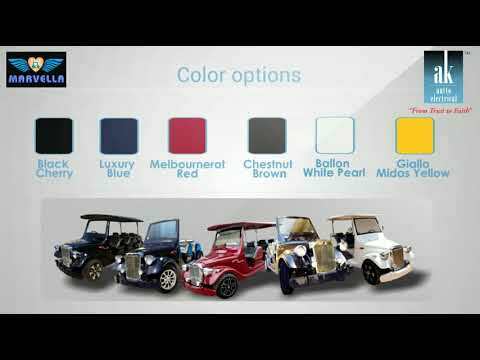 Inclusive of Golf Carts, Luxury Vintage Golf Carts and Battery Rickshaws, we offer a wide range of products. Their easy operation, low maintenance & working cost, high performance and reduced noise level, makes these golf carts highly demanded in the market. In addition to this, we offer Annual Maintenance Contract (AMC) of the offered products. Owing to their systematic execution, these services are highly appreciated among our customers. We export our products Globally.